There wasn’t a lot of movement in the post-tournament USCHO rankings with Minnesota-Duluth remaining the country’s top team. Boston College dropped a slot to #4, Merrimack stayed steady at #7, and Boston University stays in the top ten at #10. Lowell, winners of UConn’s tournament, were big movers jumping 5 spots to #12. Cornell remained at #13 despite their loss to the Minutemen. About the same in the USA Hockey/USA Today poll. Spencer Abbott of Maine was named Hockey East Player of the Week after being named MVP of the Florida College Classic. Northeastern was named Team of the Week after continuing to dominate the Midwest by taking the Mariucci Classic over the weekend. Branden Gracel, Steven Guzzo, and Conor Sheary were all named Top Performers. Speaking of Guzzo, he was named runner-up to Lowell’s Stephen Buco for Hockey East Rookie of the Month. No real recruit update this week as Kenny Gillespie and Shane Walsh are still injured while Willy Smith’s Pics have been off for the holidays. The Pics will pick it back up this weekend in the Empire Winter Showcase in Marlboro. Here are the recruits’ stats to date. 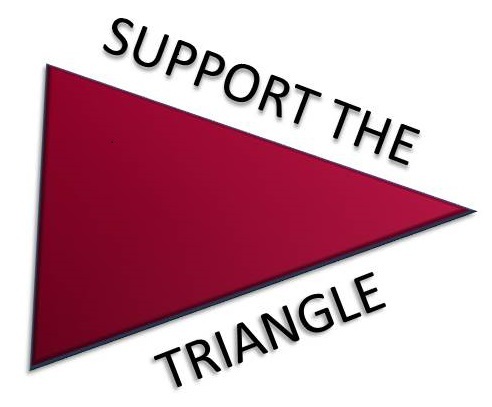 Fear The Triangle has learned that UMass is scheduled to play in the UConn holiday tournament in 2013 with Sacred Heart, Quinnipiac, and of course host UConn. I guess this news was also confirmed on the USCHO boards and it was reported there that UMass would play Quinnipiac. I can’t say I’m exactly blown away at the prospect. After going to this tourney twice, I don’t not look forward to it. I’ve never understood why UConn even has a tournament. Their facility is awful. Atmosphere is non-existent. And as a college town Storrs is pretty boring and lacks decent beer bars (though Willimantic has a good one within driving distance). And the matchups are never compelling. But UMass seems to be there every three to four years. It’s almost like Toot feels sorry for UConn and their crappy hockey program. Matt Vautour has an article today regarding this weekend’s Frozen Fenway game where he confirms that UMass, and the other schools, will in fact be wearing special jerseys. No news on what they’ll look like. He also reports that replicas of the jerseys will be sold via the Pond Club. Hopefully the gameworns become available as well to add to my collection. Here’s a good article from the Republican on Cathedral’s day on the Fenway ice and what it means to that community which is try to rebuild in the wake of last Spring’s tornado. Jon Quick was named the NHL’s third star for this past week.